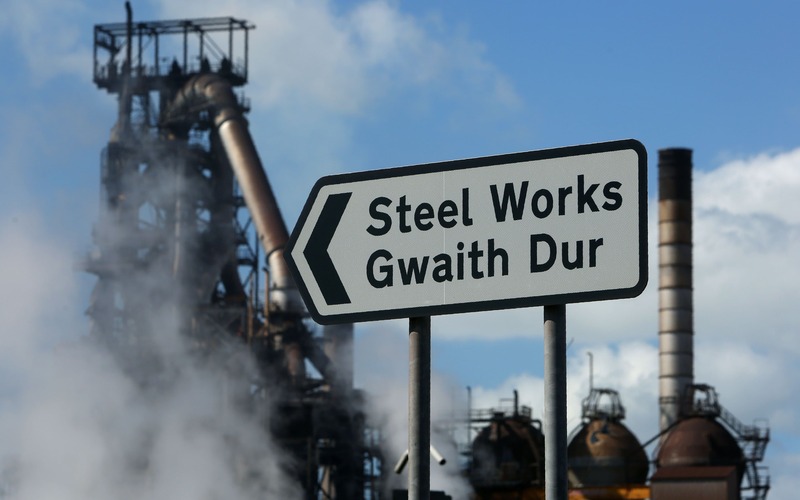 Tata is investing ?30m in its Port Talbot steelworks in a move the company says shows its "commitment" to the industry in the UK. The company has pledged to install a 500-tonne steelmaking vessel and make other upgrades at the sprawling South Wales plant to prepare it for the future. Investing in the site is part of a ?1bn, decade-long deal thrashed out with unions in return for their support for a deal to spin off the ?15bn pension attached to Tata’s UK steel business. Tata had warned unless the company freed itself from the retirement scheme’s liabilities, the business would collapse, taking thousands of jobs with it. Through a “regulated apportionment arrangement”, Tata paid ?550m to the British Steel Pension Scheme and handed a third of the company in shares to the pension’s trustees. Tata’s Indian parent tried to sell all of its UK steel operations in 2015 at the height of the steel crisis, which claimed thousands of jobs. However, the plan was abandoned in favour of piecemeal disposals and a merger with Thyssenkrupp. As well as replacing the “basic oxygen steelmaking vessel”, which converts 330 tonnes of iron into steel at a time, Tata is also updating cranes and putting in emission-reducing systems. Earlier this year the company said it would install a robotic steel welding line at its site in Wednesfield. Tata says the equipment will help it to produce advanced forms of steel used in electric and hybrid cars, as well as the building industry. Bimlendra Jha, chief executive of Tata Steel UK, added: “These investments will increase our reliability and demonstrate our commitment to the term future of steelmaking in the UK. Community, the unions which represents steelworkers, welcomed what it called the "much-needed" investment but called for further spending at the company's plants.